Babrak Karmal (Dari/Pashto : ببرک کارمل‎, born Sultan Hussein; 6 January 1929 – 1 or 3 December 1996) was an Afghan politician who was installed as President of Afghanistan by the Soviet Union when they invaded in 1979. Karmal was born in Kamari and educated at Kabul University. When the People's Democratic Party of Afghanistan (PDPA) was formed, Karmal became one of its leading members, having been introduced to Marxism by Mir Akbar Khyber during his imprisonment for activities deemed too radical by the government. He eventually became the leader of the Parcham faction when the PDPA split in 1967, with their ideological nemesis being the Khalq faction. Under Karmal's leadership, the Parchamite PDPA participated in Mohammad Daoud Khan's rise to power in 1973, and his subsequent regime. While relations were good at the beginning, Daoud began a major purge of leftist influence in the mid-1970s. This in turn led to the reformation of the PDPA in 1977, and Karmal played a major role in the 1978 Saur Revolution when the PDPA took power, though in later years he denounced it. The Revolutionary Council of the People's Democratic Party of Afghanistan (PDPA) ruled the Democratic Republic of Afghanistan from 1978 until its collapse in 1992. 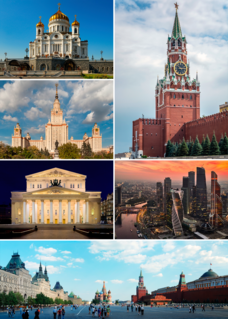 The council was the supreme state power under the communist regime and was a carbon copy of the Supreme Soviet. The point with the council was to convene on a semiannual basis to approve decisions made by the presidium. The Prime Minister of Afghanistan was a post in the Afghan government. The position was created in 1927 as an official appointed by the King of Afghanistan. The holder served mostly as an advisor, until the end of the Kingdom of Afghanistan in 1973. During the 1980s, the position was the head of government. The Council of Ministers was the governmental organ in the Democratic Republic of Afghanistan and later the Republic of Afghanistan. The leader of the Council of Ministers chose ministers for the different ministerial posts in the country. Under the leadership of Nur Mohammad Taraki, Hafizullah Amin and Babrak Karmal the council underwent massive changes. Under the rule of Karmal, there were 20 out 24 ministers that belonged to the Parcham faction and the remaining belonged to the political faction Khalq. Sultan Ali Keshtmand, sometimes transliterated Kishtmand, born May 22, 1935, in Kabul, was an Afghan politician. He served twice as Chairman of the Council of Ministers during the 1980s, from 1981 to 1988 and from 1989 to 1990 in the Democratic Republic of Afghanistan. The Afghan National Army (ANA) is the land warfare branch of the Afghan Armed Forces. It is under the Ministry of Defense in Kabul and is largely trained by US-led NATO forces. The ANA is divided into six corps, with the 201st in Kabul followed by the 203rd in Gardez, 205th in Kandahar, 207th in Herat, 209th in Mazar-i-Sharif and the 215th in Lashkar Gah. The current Chief of Staff of the ANA is Lieutenant General Mohammad Sharif Yaftali. On 27 June, three months after the Saur Revolution, Amin outmaneuvered the Parchamites at a Central Committee meeting,  giving the Khalqists exclusive right over formulating and deciding policy. A purge against the Parchamites was initiated by Amin and supported by Taraki on 1 July 1979. Karmal, fearing for his safety, went into hiding in one of his Soviet friends' homes. Karmal tried to contact Alexander Puzanov, the Soviet ambassador to Afghanistan, to talk about the situation. Puzanov refused, and revealed Karmal's location to Amin. It should be noted that the Soviets probably saved Karmal's life by sending him to the Socialist Republic of Czechoslovakia. In exile, Karmal established a network with the remaining Parchamites in government. A coup to overthrow Amin was planned for 4 September 1979. Its leading members in Afghanistan were Qadir and the Army Chief of Staff General Shahpur Ahmedzai. The coup was planned for the Festival of Eid, in anticipation of relaxed military vigilance. The conspiracy failed when the Afghan ambassador to India told the Afghan leadership about the plan. Another purge was initiated, and Parchamite ambassadors were recalled. Few returned to Afghanistan; Karmal and Mohammad Najibullah stayed in their respective countries. The Soviets decided that Amin should be removed to make way for a Karmal-Taraki coalition government. However Amin managed to order the arrest and later the murder of Taraki. The People's Democratic Party of Afghanistan was a political party established on 1 January 1965. While a minority, the party helped former prime minister of Afghanistan, Mohammed Daoud Khan, to overthrow King Mohammed Zahir Shah in 1973, and establish the Republic of Afghanistan. Daoud would eventually become a strong opponent of the party, firing PDPA politicians from high-ranking jobs in the government cabinet. This would lead to uneasy relations with the Soviet Union. Nur Muhammad Taraki was an Afghan communist statesman during the Cold War who served as President of Afghanistan from 1978 to 1979. Taraki was born near Kabul and educated at Kabul University, after which he started his political career as a journalist. He later became one of the founding members of the People's Democratic Party of Afghanistan (PDPA) and was elected as the party's general secretary at its first congress. He ran as a candidate in the 1965 Afghan parliamentary election but failed to secure himself a seat. In 1966 he published the first issue of Khalq, a party newspaper, but it was closed down shortly afterwards by the government. He led the Khalq wing of the PDPA. In 1978 Taraki, along with Hafizullah Amin and Babrak Karmal initiated the Saur Revolution and established the Democratic Republic of Afghanistan. 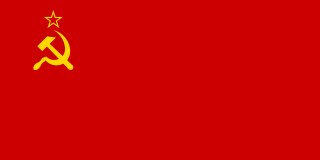 Parcham was the name of one of the factions of the People's Democratic Party of Afghanistan, formed in 1967 following its split. The Parcham faction seized power in the country after the toppling of Hafizullah Amin in December 1979. The Politburo of the Central Committee of the People's Democratic Party of Afghanistan (PDPA), Afghan Politburo, was the policy-making organ and institution within the Afghanistan's political structure when the PDPA Central Committee and the PDPA Congress were not in session. Only one politburos was formally elected; at the 1st Congress, despite this, the membership line-up was altered numerous times during the PDPA's existence. Colonel Abdul Qadir was born in Herat and trained as a pilot in the Soviet Union. In 1973 he also participated in the coup d'etat that created the Republic of Afghanistan under the Presidency of Mohammad Daoud Khan. In 1978 he was the leader of the Afghan Air Force squadrons that attacked the Radio-TV station during the Saur Revolution. He served as the leader of the country for three days when the People's Democratic Party of Afghanistan (PDPA) took power and declared the foundation of the Democratic Republic of Afghanistan. Assadullah Sarwari is an Afghan former politician and convicted war criminal who belonged to the Khalq faction of the communist People's Democratic Party of Afghanistan (PDPA). He was born in Ghazni Province. The following lists events that happened during 1978 in Afghanistan. The following lists events that happened during 1979 in Afghanistan. The Democratic Republic of Afghanistan was the government of Afghanistan between 1978 and 1992 recognised by 8 countries. It was both ideologically close to and economically dependent on the Soviet Union, and was a major belligerent of the Afghan Civil War. Ghulam Dastagir Panjsheri born in 1933 in Panjshir, Afghanistan. Panjsheri was usually identified as a Khalq by fellow Afghan politicians, while outside observers said he was creating his own PDPA group under the name Gruhi Kar. Mir Akbar Khyber was an Afghan left-wing intellectual and a leader of the Parcham faction of People's Democratic Party of Afghanistan (PDPA). His assassination led to the overthrow of Mohammed Daoud Khan's republic, and to the advent of a socialist regime in Afghanistan, the Democratic Republic of Afghanistan. 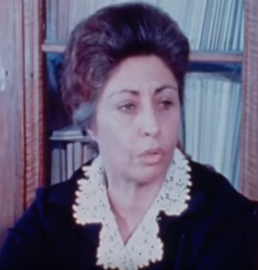 Anahita Ratebzad was an Afghan socialist and Marxist politician and a member of the People's Democratic Party of Afghanistan (PDPA) and the Revolutionary Council under the leadership of Babrak Karmal. Ratebzad was Afghanistan's deputy head of state from 1980 to 1986. Major General Sayed Muhammad Gulabzoi is an Afghan politician. 1 2 3 4 Arnold 1983, p. 19. 1 2 3 Clements 2003, p. 141. ↑ Wahab & Youngerman 2007, p. 156. 1 2 3 H. Kakar & M. Kakar 1997, p. 65. ↑ Arnold 1983, p. 21. ↑ H. Kakar & M. Kakar 1997, p. 64. ↑ Misdaq 2006, p. 94. ↑ Rasanayagam 2005, p. 47. ↑ Rasanayagam 2005, pp. 47–48. ↑ Rasanayagam 2005, p. 48. ↑ Rasanayagam 2005, p. 49. ↑ Arnold 1983, p. 32. ↑ Arnold 1983, p. 33–34. ↑ Arnold 1983, p. 34. ↑ Arnold 1983, p. 35. ↑ Gladstone 2001, p. 113. ↑ Gladstone 2001, p. 114. ↑ Tomsen 2011, p. 105. 1 2 3 Tomsen 2011, p. 107. 1 2 Tomsen 2011, p. 110–111. 1 2 Gladstone 2001, p. 117. ↑ Brecher & Wilkenfeld 1997, p. 356. ↑ Asthana & Nirmal 2009, p. 219. ↑ Rasanayagam 2005, p. 296. ↑ Braithwaite 2011, p. 99. 1 2 3 Braithwaite 2011, p. 103. ↑ H. Kakar & M. Kakar 1997, p. 71–72. ↑ H. Kakar & M. Kakar 1997, p. 72. 1 2 H. Kakar & M. Kakar 1997, p. 73. ↑ Yassari 2005, p. 13. 1 2 3 Braithwaite 2011, p. 104. ↑ Arnold 1994, p. 44. ↑ Arnold 1994, p. 45. 1 2 3 4 Arnold 1994, p. 48. ↑ Arnold 1994, p. 49. ↑ Adamec 2011, pp. Iii, Iiii & lv. ↑ Arnold 1994, pp. 45–46. ↑ Arnold 1994, p. 46. ↑ Staff writers 2002, p. 64. 1 2 Amtstutz 1994, p. 180. ↑ Amtstutz 1994, p. 181. ↑ Levite, Jenteleson & Berman 1992, p. 80. ↑ Amtstutz 1994, p. 186. 1 2 Arnold 1994, p. 47. ↑ Staff writers 2002, p. 86. ↑ "Economy". Afghanistan.com. Archived from the original on 5 February 2012. Retrieved 1 February 2012. ↑ "Country Profile: Afghanistan". Illinois Institute of Technology . Retrieved 1 February 2012. 1 2 Collins 1986, p. 306. ↑ Collins 1986, p. 313–314. ↑ Collins 1986, p. 314. ↑ Qassem 2009, pp. 87–88. ↑ Hilali 2005, p. 50. ↑ Qassem 2009, p. 78. ↑ H. Kakar & M. Kakar 1997, p. 74. ↑ H. Kakar & M. Kakar 1997, p. 75. ↑ Kalinovsky 2011, p. 95. ↑ Kalinovsky 2011, p. 96. ↑ Kalinovsky 2011, pp. 96–97. 1 2 Kalinovsky 2011, p. 97. 1 2 Kalinovsky 2011, p. 98. ↑ Steele 2011, p. 146. ↑ Clements 2003, p. 26 (xxvi). ↑ Giustozzi 2009, p. 182. 1 2 Pace, Eric (6 December 1996). "Babrak Karmal, Afghanistan's Ex-President, Dies at 67". The New York Times . Arthur Ochs Sulzberger, Jr . Retrieved 31 January 2012. ↑ "Gestorben: Babrak Karmal" [Died: Babrak Karmal]. Der Spiegel (in German). Spiegel Online. 9 December 1996. Retrieved 2 February 2012. ↑ "Babrak Karmal". Encyclopædia Britannica . Retrieved 2 February 2012. ↑ Whitaker, Raymond (6 December 1996). "Obituary: Babrak Karmal". The Independent . Independent Print Limited. Retrieved 2 February 2012. Wikimedia Commons has media related to Babrak Karmal .